This is not the “my beautiful laundrette” but it’s full of people pondering about their lives (or sleeping it off). The picture was taken in London, Clapham. Great story telling, great frame! All the best &s afe travels, Fritsch. Sad can be beautiful! Great shot! 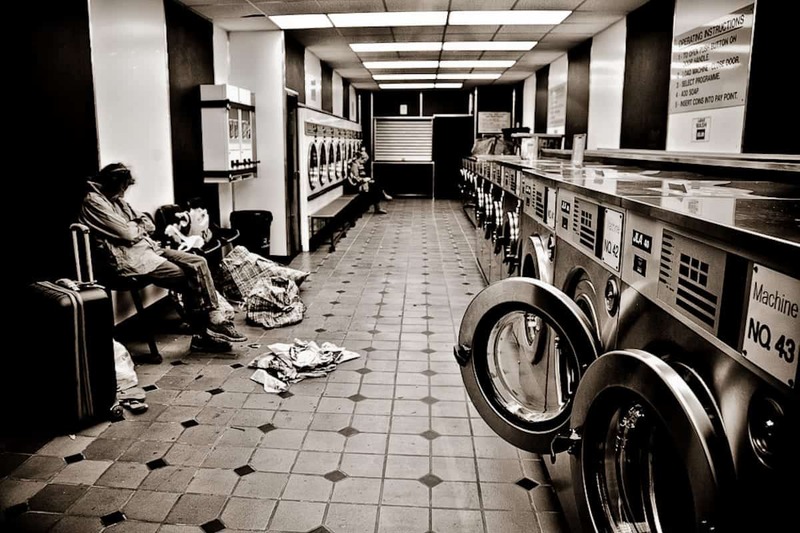 what is the name of this launderette and where is it? Thanks Alice – it’s in London Clapham.